Educate Nepal Mission Teams: Thursday 22nd January. Today is the crucial day for the constitution decision. We don't think it will be resolved at all. Last week, there were 30 chairs smashed, microphones thrown across the room, and some "biffo" as well. So, we are expecting more of the same. These photos show the before and after of a bundh. 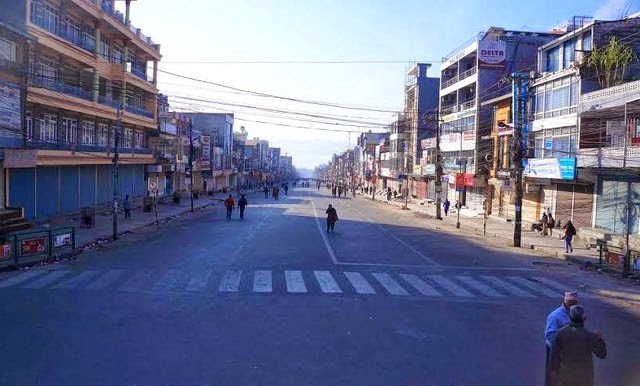 Above, the crazy usual traffic of Kathmandu and below, what the streets were like a few days ago while the strike was on. 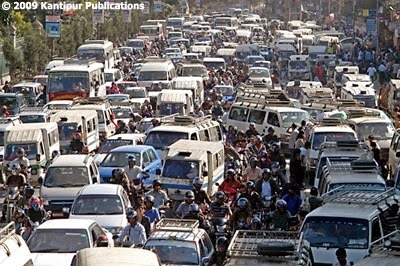 Apparently, busloads of people on their way out and into Kathmandu were stranded and had to sit in the bus all day. We are expecting more trouble tomorrow maybe, as there will be some unhappy people around.